Entertaining pool game that sports amazing 3D graphics and realistic pool gameplay and closely resembles a real pool game. Amateurs and hustlers alike are lining up to take their shot at Real Pool. This unique pool simulation features popular games and stunning camera views. 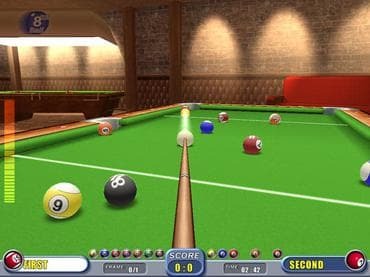 Whether you play by yourself, with a friend, or against the computer, Real Pool is sure to delight and entertain for hours on end. Download free full version windows game today and start playing pool now! If you have questions about Real Pool game, please contact us using this form.